Bayu holds a degree in Veterinary Medicine from Udayana University, Bali. 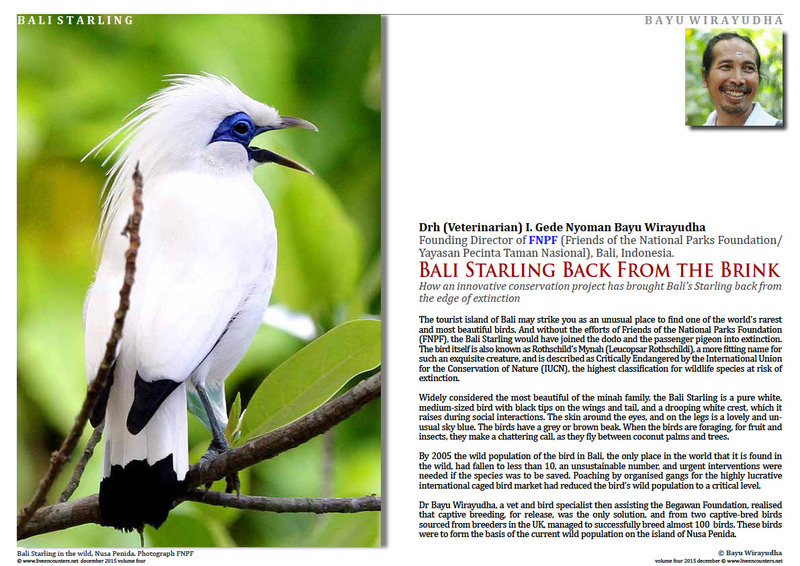 He is the founding director of FNPF, and holds other directorships including with Yayasan Bebali, which works with traditional cultural revitalisation, and previously with the Begawan Foundation, where he oversaw the program breeding the critically endangered Bali Starling (Leucopsar rothschildi) and their subsequent release by FNPF onto Nusa Penida. 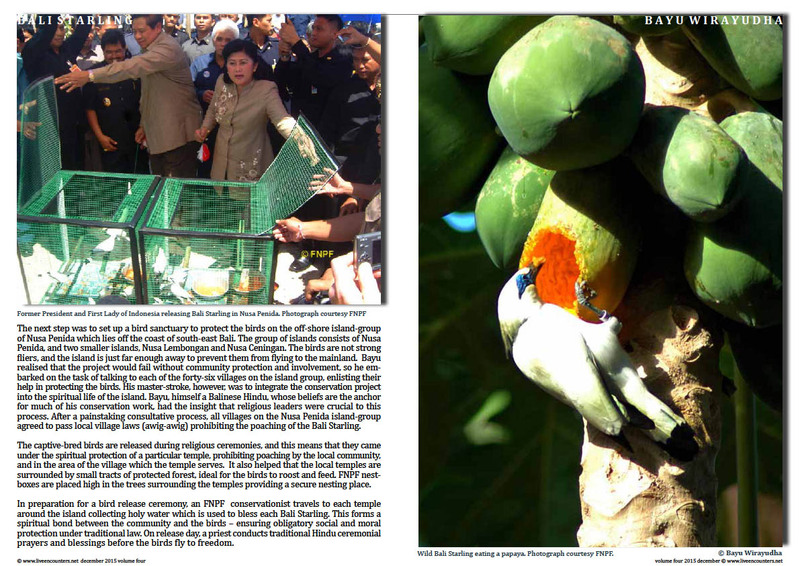 In 2003 and in 2007 Dr Bayu was nominated for Indonesia’s Kalpataru (Hero of the Earth) Award for his work with conservation. 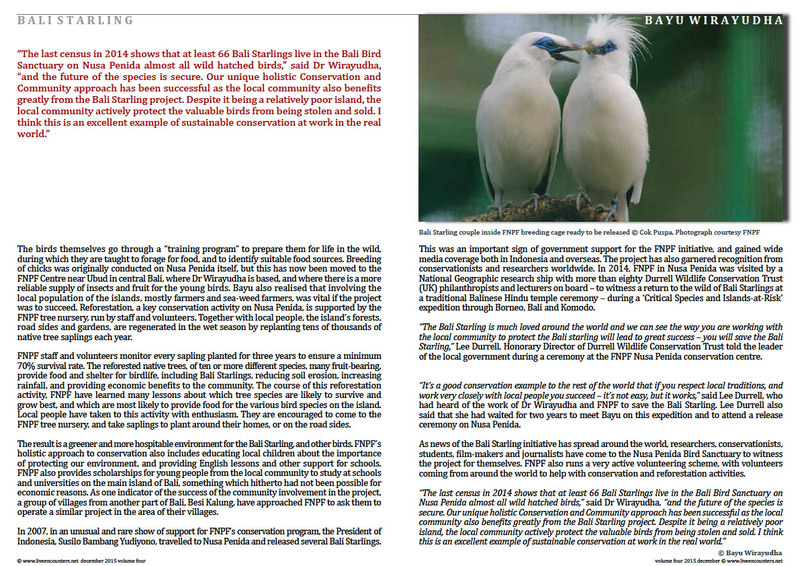 In 2007 the Bali Governor awarded him Environment Pioneer. In addition to his NGO work, Dr. Bayu has extensive experience working closely with all levels of government and with the private sector. The quality of his work is evident in the successes FNPF has achieved, and in the trust placed in him and FNPF by organisations such as Humane Society International, the Gibbon Foundation, Boeing Aerospace, US Fish and Wildlife Service, and AusAID (the Australian government’s international aid department). Dr. Bayu provides vital leadership and oversight to FNPF.